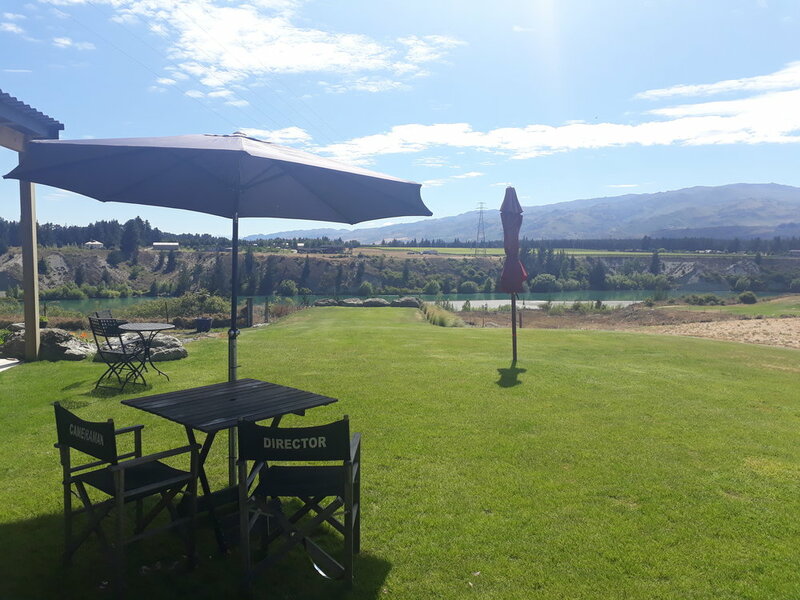 Overlooking the Kawarau River, just off Bannockburn's vine-blessed Felton Road, lies the boutique new cellar door & vineyard of Desert Heart. 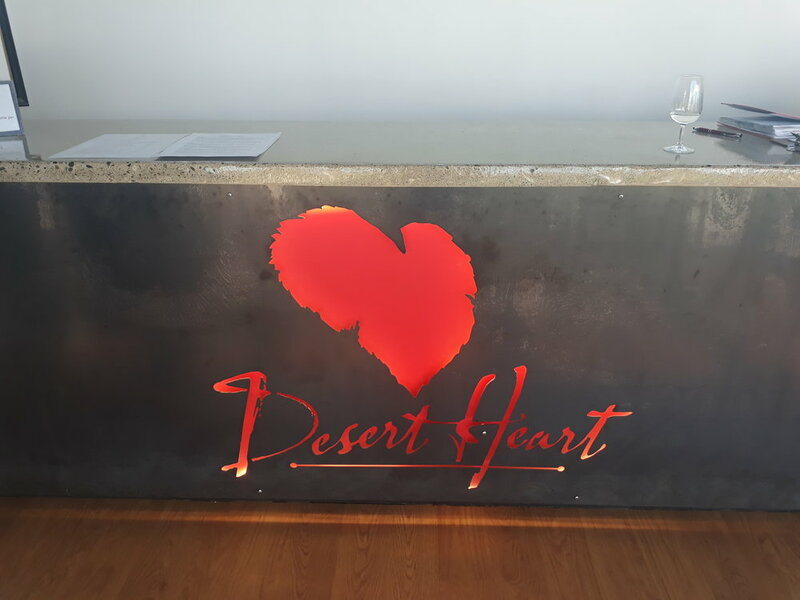 Founded by Denny Downie & Jane Gill in 1999 as a series of vineyards at the far end of Felton Road, the current Desert Heart has downsized to focus on the purity of the wine & the site it comes from with 1ha (2.47acres) now planted (split 50/50 between Pinot Noir & Chardonnay). Shaughn Jenkins met with Denny Downie for a chat about how Desert Heart developed, and her love of fine wine. Foreground is the excellent new vinyard of Desert Heart with further terraced vineyards of Bannockburn in the distance. Shaughn Jenkins: What inspired you to go and start Desert Heart here in Bannockburn? Denny Downie: I've always had a huge passion for wine. Having lived in France from the age of 17, I was exposed to a variety of excellent wines that were not available in New Zealand. I love travelling, and have visited many wine regions around the world over the years. Once back in New Zealand I worked with the likes of Babich & Delegats in West Auckland, before deciding to set up Desert Heart in Central Otago which was just starting to expand in plantings. Shaughn: What makes the site you have here special? Denny: The site we have chosen here in Bannockburn is the summation of everything we have achieved here over the last 15+ years. It's unusual as a piece of land most available plots here in Central Otago in point in time have been used for agricultural or industrial purposes at some point in the last 50 or so years. Where this vineyard is planted has only ever been used for winter grazing and the soil has never been turned, so we have no loss in nutrients or top soil allowing for excellent natural access to the clay & limestone left behind by the sea around 850,000 years ago. Desert Heart's Denny shows me across her site overlooking the Kawarau River. Shaughn: You've been working hard in Bannockburn since 1999, what do you think makes it distinct compared to the other sub-regions? Denny: I believe Bannockburn has a true typicity when it comes to Pinot Noir production. A distinct terrior, where you can tastes the wines from here, and however different they may taste, there is something there that connects them all together, you know the wine is from Bannockburn. You get a lot of herbal notes, fruits of the forest, there is just so much complexity in Bannockburn Pinot Noir. Shaughn: Finally, where can people out there get a hold of Desert Heart wines? Denny: We export the wines a little to both Singapore & the UK, while focusing a lot of our sales here at the new cellar door, around Central Otago, Dunedin, as well as select markets in Wellington & Auckland. Desert Heart's iconic logo represents both a heart, as well as the shape & colour of a grape leaf in autumn. Denny very kindly took me through a range of wines that she has produced, primarily from her excellent previous sites, while we wait for the first productions to be released from the newest site. She shared with me Chardonnay 2015, Riesling 2011, "Magic Moments" Rosé 2014, "Mackenzies Run" Reserve Pinot Noir 2013 & "Mackenzies Run" Reserve Pinot Noir 2012. There was a lot of excellent wine here with my favourite of the two Pinots being the 2012 "Mackenzies Run" Reserve Pinot Noir with it's soft red hues, herbal thyme aroma, with hints of raw cacao and a palate that was evenly weighted across front, mid & the back of the palate, with a beguiling almost haunting length to the finish. Plenty of room to age. From the others it was tough to choose a favourite as they were so graceful upon the palate. The 2011 Riesling was an excellent example of a gracefully ageing Central Otago Dry Riesling, with pleasant notes of lemon curd, kerosene & wet stone with a golden hue & key lime flavours that lead to a full mouth watering acidity on the finish. The Chardonnay 2015 was also stand out with aromas of melted butter & subtle white peach notes, the palate was not weighty at all, with a bracing acidity that bordered on the saline, as Denny noted the wine only spent 3 months in neutral oak barrel for structure. Click here to find out more about Desert Heart.